We have been a pioneer in the craft beer industry since opening our brewpub in downtown Ann Arbor in 1995. Our commitment to handcrafted beer, exceptional hospitality, community involvement, and environmental stewardship has been the foundation for our growth and success for over two decades. Arbor Brewing Company was founded by husband and wife team Matt and Rene Greff, who share a passion for beer and adventure. By their late 20’s, the Greffs had become disenchanted with their corporate gigs and soon after brewpubs were legalized in Michigan, they set about opening their own. They opened their doors in July, 1995 and became the first brewpub to open in Ann Arbor and only the fifth brewpub to open in Michigan’s fledgling industry. It was a trip to Belgium where Matt and Rene fell in love with Belgium-style beer. It was that trip when the Greff’s decided it was time for Arbor Brewing Company to begin a sour program, the first of its kind in the State of Michigan. They inoculated barrels purchased from a Michigan winery by filling them with centuries old Belgium sours. Those same barrels still produce some of the best sours that come out of the Brewpub location. In the years since, the original brewpub has expanded into the adjacent storefronts, more than doubling its original size. It has become a fixture in downtown Ann Arbor and still ranks among the 10 largest brewpubs in Michigan. With the brewpub humming along and craft beer continuing to gain momentum, Matt and Rene set their sights on opening a production brewery to increase production and open up state-wide distribution. As long-time Ypsilanti residents, the Greffs wanted to help spearhead the economic renaissance in their hometown, so they chose an old ware house in Ypsilanti’s historic district, at that time still a few blocks off the beaten path. Cornery Brewery opened to the public in 2006. In that same year, Corner Brewery continued the tradition of producing sour beer. This time, the barrels were inoculated with sour beer from the original sour program barrels at the Brewpub. Each year, we push the envelope, blend sours, and create new recipes to keep the sour program fresh. 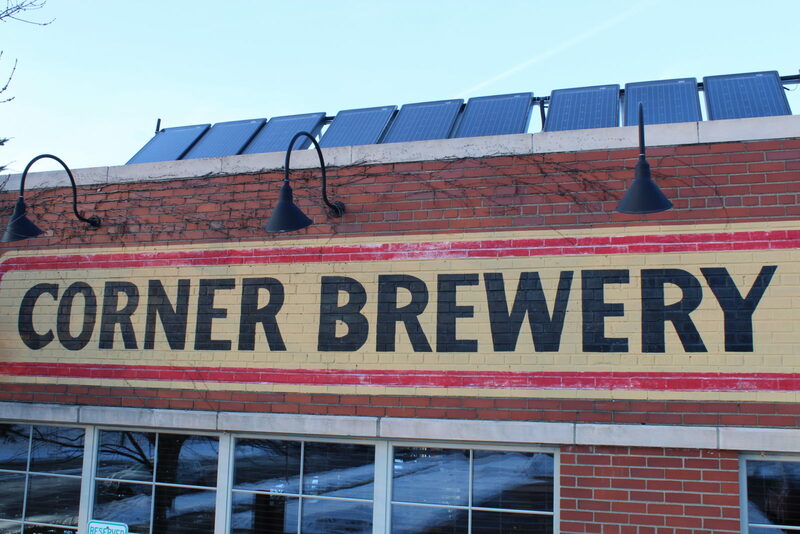 The Corner Brewery quickly became a favorite local hangout, and by 2010 the brewery was bursting at the seams. So we set our sights on an ambitious $1 million expansion and green brewery renovation project. In addition to adding solar panels to the roof and geothermal cooling underground, the project doubled the amount of car parking, tripled the amount of bike parking, added 2,200 new warehouse and office space, doubled the brewing capacity, and increased the bottling speed 5 fold. This renovation set the stage for continued growth. 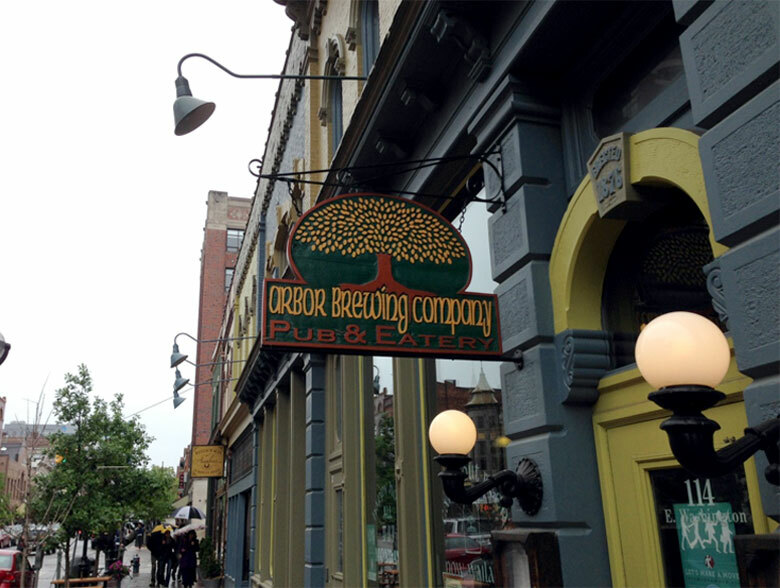 In May of 2017, Arbor Brewing Company was purchased by Farm + Ferment, a Michigan-based farm and hospitality group which also includes Bigalora Wood Fired Cucina, Bacco Ristorante, Michigan Hop Alliance, and Baia Estate. The new ownership group continues the entrepreneurial spirit started by Matt and Rene, and brings synergies and growth opportunities with their hop farm and vineyard, both located on the Leelanau Peninsula. We again set out on another round of renovations and upgrades including a new kitchen at the brewpub, a new lab and production equipment at the brewery, and culminating at the end of 2017 with the installation of new, state-of-the-art canning line. In January 2018, Arbor sent the brown bottles packing and re-launched their standard beer lineup in all-new cans (sours remain in 500 mL bottles). In addition to being a more environmentally friendly package and more packable on all your outdoor adventures, cans are ultimately a better vessel for the beer, allowing the beer to stay brewery-fresh longer. Plans are already underway for another round of expansion at the brewery, including a new brewhouse, increased production capacity, and an expansion of the sour program.